Pakistan set a daunting total of 367 for Hong Kong to chase in their opening match of the ACC Emerging Teams Asia Cup at Karachi’s National Stadium today. 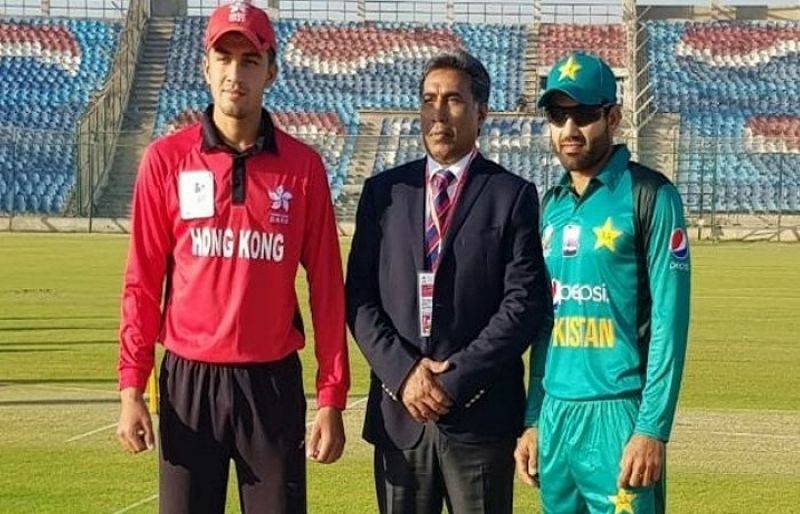 Winning the toss and electing to bowl first, Hong Kong were faced with Pakistani openers who smashed all over the ground scoring 366 for the loss of three wickets in their allotted 50 overs. Opener Sahibzada Farhan and Ali Imran scored centuries, while Khushdil Shah chipped in with 83, captain Mohammad Rizwan making 33 and Hussain Talat remaining not out on six. For Hong Kong, Aizaz Khan picked up two and Ehsan Nawaz picked up one wicket. Group ‘A’ of the tournament consists of Sri Lanka, India, Afghanistan and Oman; while the Group ‘B’ consists of Pakistan, Bangladesh, UAE and Hong Kong.